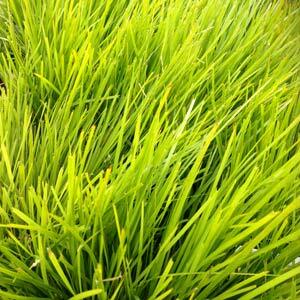 Wholesale growers supply Dianella plants, species and cultivars in a number of varieties used widely in landscaping. This is a strap leafed grass with Dianella tasmanica being the tallest growing (to 1.2 m) and some of the cultivars being the shortest (to 20cm). Lower growing types can be a great substitute for Mondo Grass. Wholesale growers are offering an ever increasing range of cultivars, some with improved foliage and better root systems which make them desirable for landscaping projects. D. tasmanica cultivars such as ‘Destiny’, ‘Blaze’ and ‘Emerald Arch’ are a hardy drought tolerant strap leafed plant suited to borders, and mass plantings. One of the newer releases is Dianella ‘Steetscape’ and interesting hybrid with foliage that holds well down the plant. Useful for projects that require drought tolerant and sun tolerant plants with a low maintenance requirement these strap leafed plants are tough and durable. D. caerulea, D. longifolia, D. revoluta and D. tasmanica are the main species used in landscaping. D. longifolia from Cape York is used in hybridisation. D. Border White – Clump forming with broad foliage striped with white. Will reach 40 – 60 cm in height. D. Border Yellow – Cream to pale yellow stripes on broad green foliage. Will reach 40 – 60 cm in height. D. Tasmanica – Blade like foliage with serrated margins, blue flowers. Dianella hybrid ‘Streetscape’ – Grey green foliage on a very versatile plant. Grows well in most area. Will reach 30 – 60 cm in height. One of the best cultivars for foliage contrast is D. ‘Silver Streak’ a D. tasmanica hybrid this cultivar is blessed with wonderful variegated foliage, strong creamy white striped blue/green strap like leaves. Pretty blue flowers from spring to summer followed by typical berries are an added attraction. Excellent for mass planting but equally at home a a feature in a container or as a clump in the garden border, also used to line fences.